Read Mary Magdalene  Painting Reading Mary Magdalene, dating from 1435, can be conditionally considered an “Italian” experience of the painter. Mary Magdalene in a greenish dress sits, leaning against a small chest of drawers. Carefully drawn out the folds of the dress and headdress make the figure look like a sculpture. A concentrated facial expression indicates that all her thoughts are directed towards the book she is reading. Nearby – a vessel with incense. Other figures and the background landscape itself show that when working on his own works, the artist never forgot that he lives on earth and the world surrounding him is the earthly world. 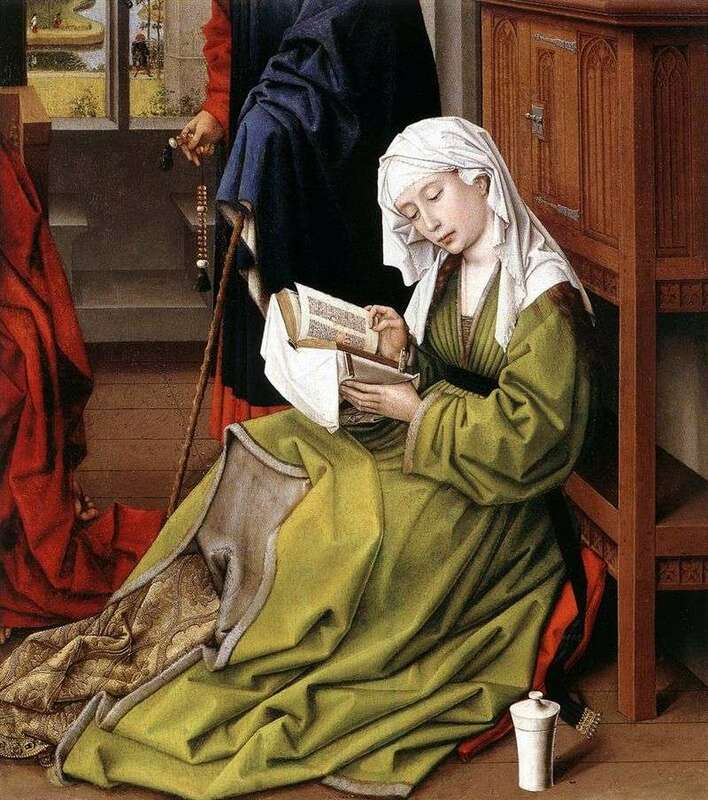 Description and meaning of the painting Read Mary Magdalene by Rogier van der Weyden.